A tranquil twilight, not a breath of air, shorts and flip flops in the Botswana autumn – we were on a blissful escape from early winter in a blustery Cape. Sitting around the campfire in Kang Lodge (editor’s note: at time of publication Kang Lodge no longer offers camping), we were speculating about the time required to reach our next campsite, inside Khutse Game Reserve. Not even the locals could tell us so we settled on an early start, just after daybreak. Just as well, because from the reserve gate it was another two and a half hours to the Moreswe campsites. Our navigator (moi) could have been saved a spot of anguish if I’d had the new Tracks4Africa Botswana Self-Drive Guide; I could have simply turned to p80 and seen at a glance that it was “67 km or 2h26min WSE of South Gate (of which 67km is 4WD)”. In the atlas section, I would have found the info clearly stated on the detailed map on p240. Of all our neighbouring countries, Botswana is the closest to my heart. It is organised and friendly, with incredibly beautiful and varied scenery. I’ve travelled its parks and reserves extensively over the past 15 years and need little encouragement to return. 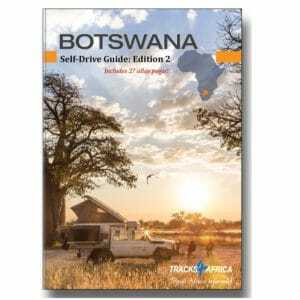 The brand-new Botswana Self-Drive Guide: Edition 2 published by Tracks4Africa makes it that much easier to plan your self-drive trip. Overlanders in Botswana should plan their route carefully according to predetermined overnight stops. Game reserves, which often have few campsites (and therein lies their charm), are fully booked months, if not a year in advance. You cannot simply show up. Before attempting to make your bookings, which can be quite a saga, because tourism in the Department of Wildlife and National Parks has been contracted out to various organisations, you need to work out an itinerary based on how far you can realistically drive. This is where the T4A Botswana Self-Drive Guide is indispensable. What sets this book apart from other guides, just like its sister publication Namibia Self-Drive Guide, is that all the homework has been done by travellers who have driven the roads themselves and experienced the road conditions so that you can benefit from exact information not only about distance, but also about time required to complete each leg of the trip. Whereas you may consider five or six hours ample to cover 400 or 500km, this is not very likely. For one thing, although many of the main roads are good, the Botswana traffic police take their jobs very seriously and their patrolling presence is far more visible than in South Africa. The speed limit of 100 km/h means that you will average far less, so make provision for shorter rather than longer legs on your intended journey. Nuggets of background information about specific destinations will enhance your experience. The reference to San rock art which can be seen at Bushman Hill south of Savuti Camp was new to me, so I’ve scribbled in the margin. The A4 format of the book is generous and allows for notes, moreover the large, full-colour photographs of wildlife and rest camps will have you salivating in advance. New to this edition are 27 atlas pages at a scale of 1:1000000, in other words, 1cm on the map equals 10km on the ground. 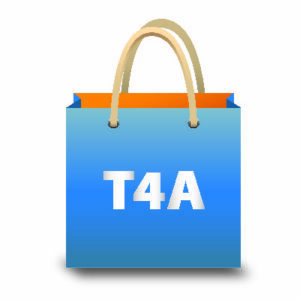 As on the T4A paper maps, top tourist attractions are given, as well as driving conditions. The atlas maps are up-to-date and show essential facilities, camping, lodging and protected areas. This is useful for planning purposes as well as when you’re actually travelling. How do you prepare your vehicle? There’s handy information about extra fittings, camping equipment and what to take along. If you’d rather rent a fully-equipped 4×4, it tells you why you should get one with a diesel engine. The section on health provides a checklist for your first aid kit, and concise notes on a variety of ailments that may afflict you in the bush. Botswana’s border posts are usually straightforward procedures, although it helps to know in advance what costs you will have to pay (motor vehicle insurance, National Road Fund and Road Permit RTP). A tip from the folks at T4A: When returning to South Africa, any fuel in portable containers will attract import duty. So empty these fuel containers into your vehicle before crossing the border. 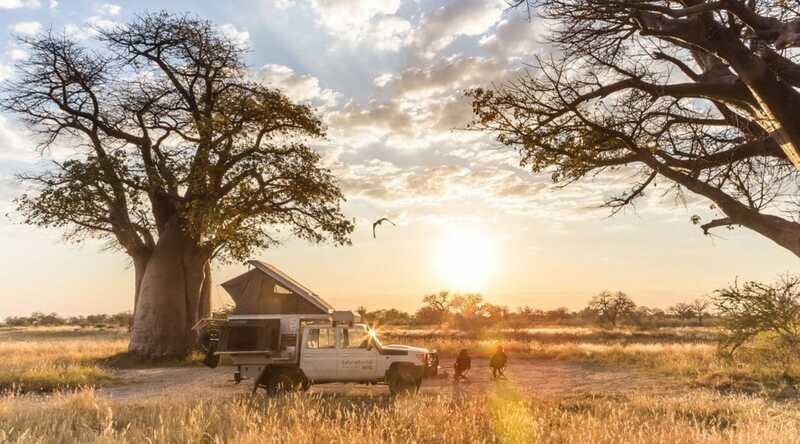 While overlanding in Botswana is a unique and wild experience, you can spice up your journey with other activities, provided you allow for sufficient downtime and have some flexibility. Choose from scenic aeroplane flights or hot-air ballooning, Okavango Delta trips in a mokoro, houseboat or motorboat, horse-riding or hiking. Here again the T4A community can assist, even with last-minute leisure options: the easy-to-use Tracks4Africa Guide app is packed with rich content. The smartphone navigation app knows where you are and will show your location on the map (no roaming costs). Look for it in the App Store and on Google Play. Inspired to go? The guide presents the ultimate Botswana grand tour of 21 days, 1865km (add 2100km if travelling from Cape Town, or 1100km from Johannesburg). Follow it step-by-step and discover a campers’ paradise.